These instructions are general in nature. Spark plug installation should be performed by motor sport or automotive technician. The warranty will be void if you fail to follow these guidelines for installing and operating your PowerSTAR Spark Plug. Your PowerSTAR Spark Plug product is a high performance product. Think of it as having multiple spark plugs in your engine firing at the same time. Therefore there are some differences between your OEM spark plugs and this product. DO NOT INSTALL IN A HOT ENGINE. Today’s engines have aluminum heads and screwing or unscrewing the spark plugs can damage the threads. Spark plugs can be safely installed and removed when you can put your hand on the engine safely without getting burned. If you need to have the brass terminal ends for your instalation PLEASE MAKE SURE THEY ARE TIGHT. Use a pliers to tighten them but don't damage the tip. Before spark plug installation in a vehicle with an Engine Control Management (ECM) or a vehicle with fuel injection system computer control. YOU SHOULD DISCONNECT THE POSITIVE (+) RED BATTERY LEAD. Failure to do this could result in improper control of the ignition system. If you have a Power Commander installed on your motorcycle please read the Power Commander section at the bottom of these instructions. If your vehicle does not have an ECM then the timing of your engine must be adjusted manually to match the faster firing produced by the PowerSTAR spark plugs. PowerSTAR Spark plugs must be installed in a complete set. Installing one or more spark plugs from a different manufacturer will void the warranty and could damage your engine. DO NOT DROP THE SPARK PLUGS doing so will damage insulator or the factory gap setting. Contact customer service about replacing your plugs. The warranty is void for any racing application. The warranty is void if the user tampers with any of the multi-firing points of the PowerSTAR. Any damage noticed to the PowerSTAR should be reported to Multispark, LLC customer service. The warranty will only cover the use in one engine. The warranty is void if the spark plugs are removed and reinstalled in another engine. PowerSTAR spark plugs must be replaced in sets. Mixing sparkplugs of different types will void the warranty. If your CHECK ENGINE light is illuminated on the dashboard before you install PowerSTAR Spark Plugs you will need to correct the problem and reset the faults prior to installation. 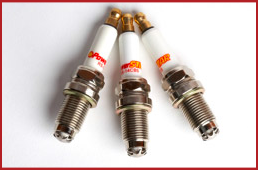 Make sure the PowerSTAR Spark Plugs are the proper size for your engine. The diameter and reach of the plug must match the plug that is removed. 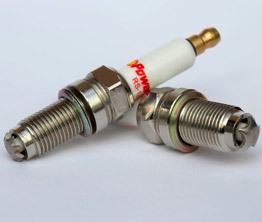 PowerSTAR Spark Plugs might extend up to 2mm deeper in the engine combustion chamber. This is okay in most applications. Mark sure that this extended reach is acceptable by your engine manufacturer. You might need a shim or washer to shorten the reach of the spark plug projection into the engine. These are available at most auto part stores. Our PowerSTAR spark plugs have been tested extensively in all Harley-Davidson models and are safe to install even though the reach is longer than the OEM spark plug. Clean the spark plug holes and seat are prior to installtion. (VERY IMPORTANT) This could affect the torque and change the heat transfer of the spark plug. You should install spark plugs one at a time so as not to confuse the firing order of the spark plug wires or leads. Examine each spark plug lead for damage and replace as necessary. If your vehicle has a Coil On Plug (COP) ignition module examine the boot and module for damage. Extra care should be used when removing COP modules. Multispark, LLC recommends replacing the COP when doing a spark plug replacement. DO NOT USE ANTI-SEIZE on the treads. You will not get a good ground to the engine. Also using it can damage the threads by allowing you to apply too much torque to the spark plug. Install each plug finger tight. Use the table below to tighten to the proper torque the PowerSTAR Spark Plug. Make sure to torque the spark plugs with a torque wrench so they don’t vibrate loose. Over or under torqueing can cause problems with the heat transfer of the spark plug and will elevate combustion tempertures. Pre-ignition and detonation can result. Apply dielectric grease to the insulator of each spark plug before connecting the wire or COP. It is only necessary to disconnect your battery for a vehicle with Fuel Injection and an Engine Control Module. On engines with a carburetor you might have to increase the jet size by one or two sizes. With the plugs installed it is advised to idle the engine for 3-5 minutes with the mixture already enriched. Let the engine cool and remove the spark plugs. Spark plugs can be safely installed and removed when you can put your hand on the engine without getting burned. Examine the plugs check to make sure the color of the STAR is chocolate or steel grey in color. Increase the richness a little and check again. When you see some black deposits on the ring under the STAR test ride for 5-10 minutes running through the gears. Coll down and check the color of the STAR and ring. On a V-twin engine the rear cylinder will be slightly darker than the front. This is normal (the front cylinder has better cooling) after about 7 days of use check the plugs and see how the engine performs. On older cars with carburetors and non electronic ignition control systems you will have to adjust your timing slightly to account for the faster flame front created by PowerSTAR spark plugs. You should have your car tuned by qualified technicians with the proper tuning equipment. With DynoJet Power Commanders if you disconnect the battery your throttle position information will be lost. We have seen problems where you get a drop off of power at around 3000 RPMs. To fix this problem you need to re-calibrate the throttle position via a laptop connected to your Power Commander.